Hitachi is a leading commercial compressor manufacturer of screw, scroll, reciprocating, and centrifugal compressors. Hitachi’s high-performance screw and scroll compressors have gained a good reputation particularly for their energy efficiency and outstanding reliability. 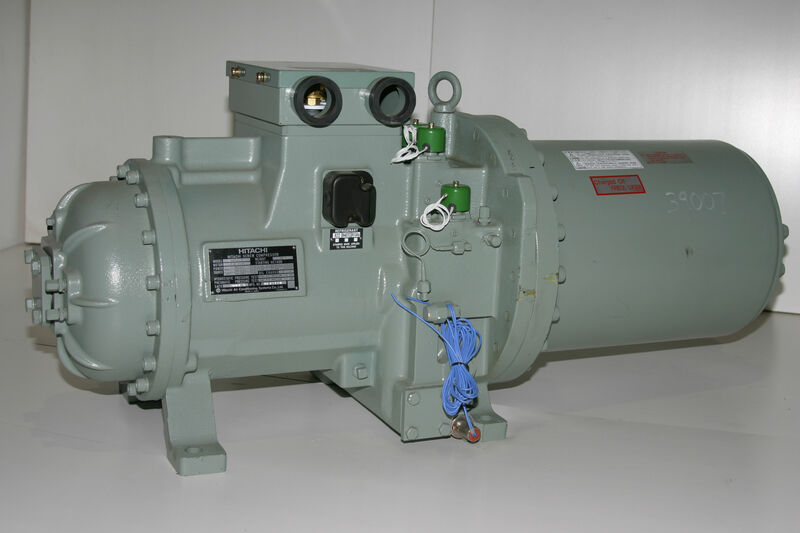 These types of compressors are also available in different variations and capacities, which can fit numerous commercial and industrial applications. Hitachi screw and scroll compressors include specific compressing elements, which use a rotary-like motion to compress the air or gas in the compression chamber. As Hitachi is one of the manufacturers committed to delivering the highest standard of quality and innovation, its compressors are equipped with new technologies, which ensure an efficient and reliable operation, even in the most challenging environments. As a result, Hitachi compressors are renowned for their simple designs, high efficiency, low-noise operation, excellent reliability, long life, superior performance, and low environmental impact. Oil-free screw and scroll compressors – These compressor designs do not require lubrication in the compression chamber. However, certain components (e.g. bearings) must be adequately lubricated in order to ensure reliable and safe compressor operation. Oil-injected screw compressors – In these types of compressors, oil is injected into the compression chamber to keep all the parts properly lubricated and facilitate the removal of the waste heat resulted from the compression process. Because we are aware of the negative impact a compressor failure can have on your business, we will make every effort to ship the products you order as soon as possible, even on the same business day. Besides keeping a high number of items in stock, we will communicate clearly with you about the status of your order. We also have an excellent relationship with a number of trusted carriers, so you can be sure that you will receive the right products, on time. If you have any questions about the Hitachi compressors we make available or any other compressor brands, please call our friendly and experienced professionals today at 972-286-2264.